Fill up our online contact form or call 020 3746 1366, and our 24/7 customer assistants will give you a non-binding and free price estimate, and discount information. Ourwindow cleaning service is deep cleaning of windows, using purified water and fed pole cleaning method for external window cleaning and squeegee for internal window cleaning. 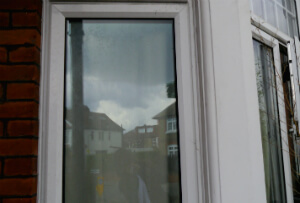 The thorough and deep East Ham E6 domestic window cleaning service involves not only secured window cleaning, but in addition cleaning of all frames, if PVC, wiping of all sills, if reachable, too. We promise fast result and insurance in case of any omission. Key pick-up and shipping can be organized, for those who have no chance to stay in the property during the treatment. All type of domestic properties are accepted. Owners of private and business properties in the region know that proper and regular gutter cleaning can save them the need for repairs and a lot of problems in case water damage occurs due to clogged gutters. Ashlee House Cleaning will help get your gutters clean safely, at an excellent price. Our gutter cleaners use professional powerful vacuum cleaner connected to telescopic pipes to reach your gutters and downpipes and clean them without a ladder. The pipes have cameras, so that all dirt and debris is visible. We can provide you with before and after pictures of your gutters. This service comes with a quality guarantee of one month. If your gutters get clogged during that period we will clean them again. We have well-trained roof cleaners who could deliver high quality house roof cleaning. Jet washing devices is used to remove mold, algae, lichen, ugly stains as well as any moss from roofs. Your roof needs to be adequately cleaned on a regular basis, so that your property looks great, and so that no harm will appear due to dirt and all the other dangerous growths on it. The trouble with microorganisms which dwell on your roof is that they could “eat off” the roof if left neglected for long time. Our company provides a reliable and cost-effective roof cleaning service, which will save you the hassle of having to climb on your roof or on a ladder to perform the cleaning your self. Stay safe, and order our fully insured cleaning service right away. We have a straightforward reservations system for our window cleaning East Ham E6 services. You can book any day of the year for your gutter, window & roof cleaning. We can show up on the same day if you want an emergency service. We have fixed as well as good prices. All customers who reserve more than One of our services at the same time will be presented a discount for every extra service. No deposit is needed to schedule our cleaning services. We have preferential fees for frequent customers, real estate firms, property owners and for those of you who book early ahead of time. For a professional window cleaning service, do not think twice to get in touch with our 24/7 call center now at 020 3746 1366 or via our online booking form. You will get written confirmation in the following 2 hours.